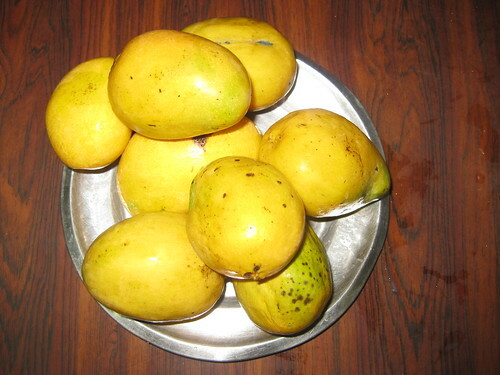 Wash the mangoes well under running water. 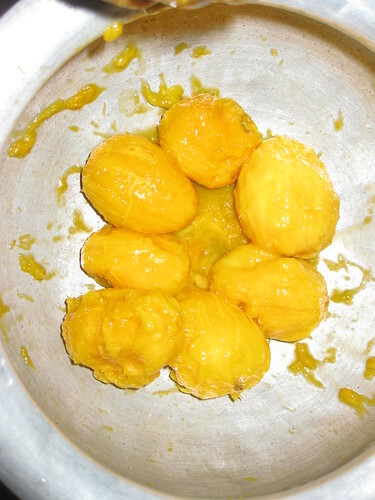 Peel of the skin of the mangoes with ur fingers. 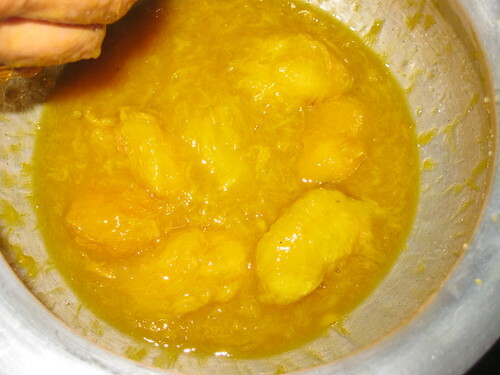 In a big pan put all the peeled mango's and add sugar ,salt squeeze and whisk with u r hand still the sugar is melt .Check the taste if needed sweet add more . Now add the milk mix well with hand. 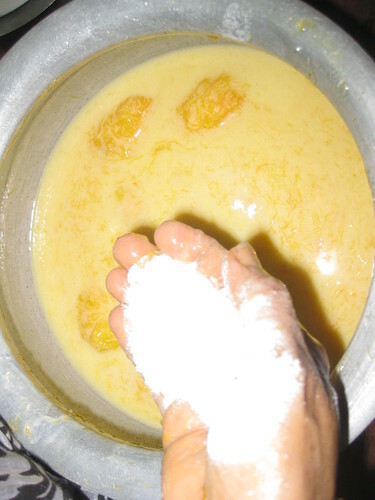 Now add rice flour or custard powder mix it again. 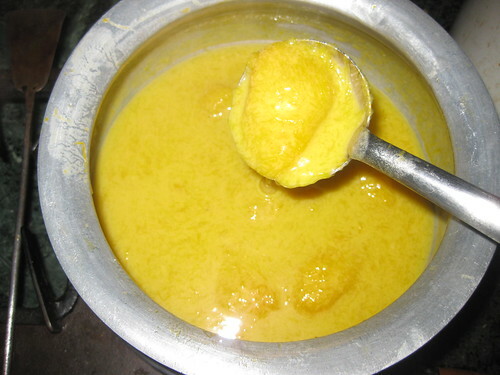 (it helps when add the milk it won't break and for thin-ken the payasam). Now switch on the flame in low heat .Bring in to boil and cook the mixture for 20 minutes stirring continuously without stopping so that it does not stick to the pan. 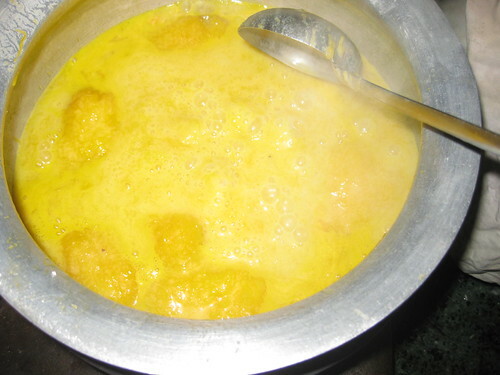 After 20 minutes mangoes kheer fully cooked and its done. (Add milk according to the thickness you like). Switch of the flame.When comes to room temperature it became thick. Serve this at room temperature or chilled. 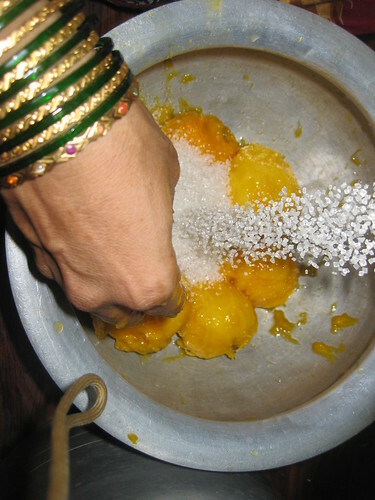 such a simple recipe but looks so yummy and tasty..whose hand are those with lots of kangan...nice colour.. 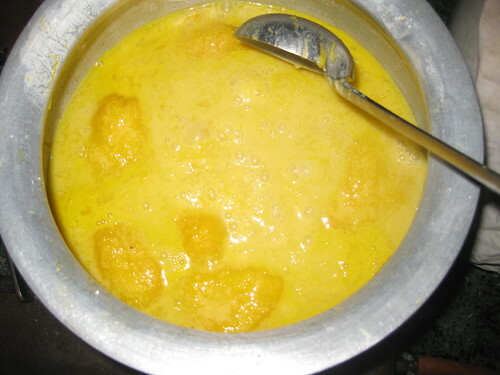 Delicious payasam with mango and custard powder. wow this looks really yumm and very innovative. Tempting and delicious kheer.. Colorful!! mouthwatering and perfect for kids! Thanks for reading my posts and sharing your comments. 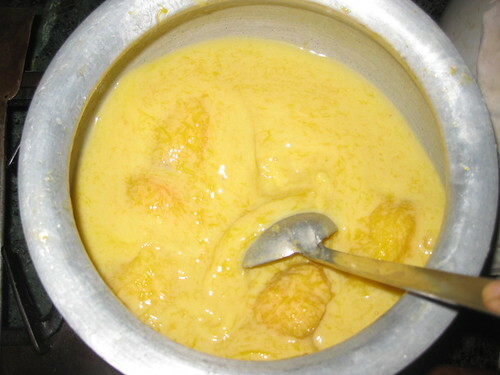 I simply love this mango kheer. looks so delicious & yummy. I also loved the charming green & gold bangles set - very beautiful! Pl do keep visiting my blog.How is the climate in Virginia now.Has winter started setting in? Have a great and wonderful weekend.Best wishes. 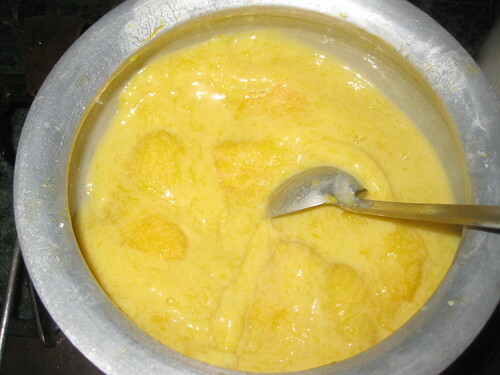 simple and delicious recipe... yummy..
Wow what an awesome kheer here I love kheers and this looks like my kinda kheer coz I love mangoes too :) Lovely!! wow thats such a new recipe... I wanna taste it now... 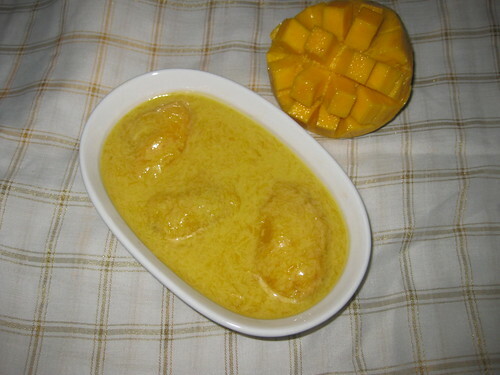 I love mangoes and now they are not in season, too bad I will have to wait for so long to try this. 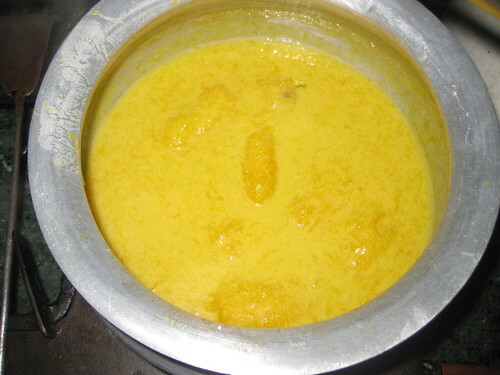 Wish i get a bowl of this irresistible and flavourful kheer.Lovely dish. 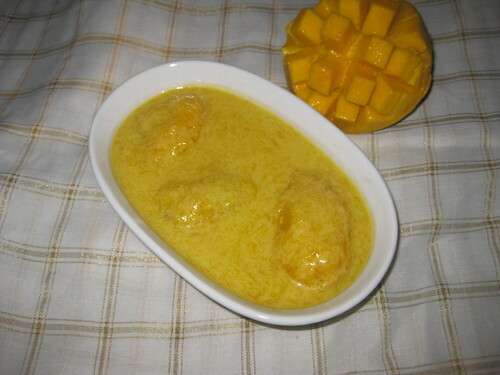 So tempting & flavorful, never tried mango kheer before!